Alright! Comin’ atcha with one more treat before the big day! 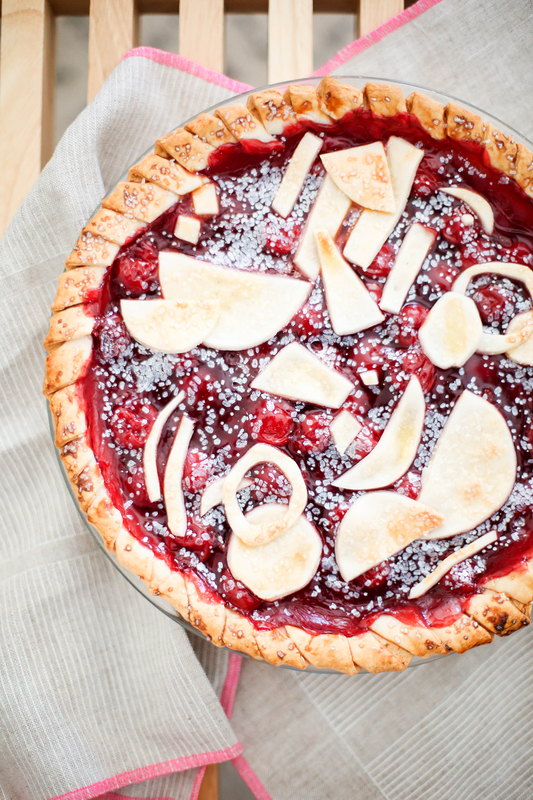 This abstract pie is perfectly perfect to pull off last minute! 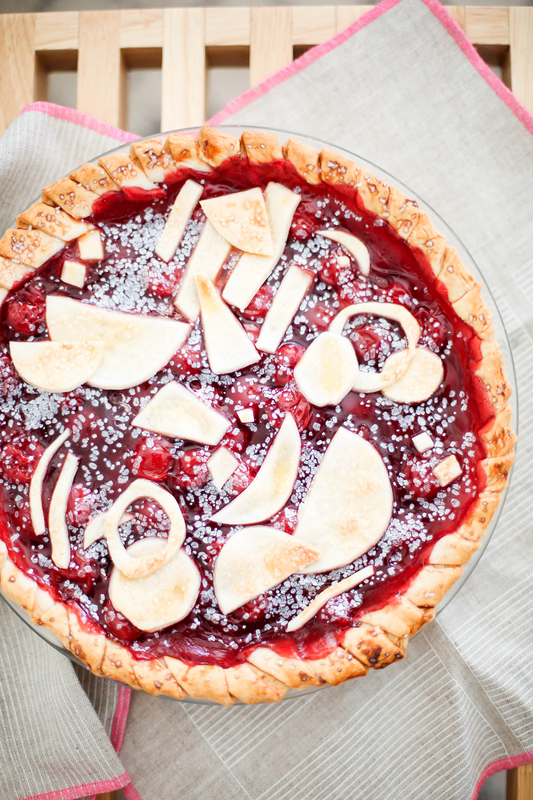 And if you really want to simplify things, you can use store-bought pie crust and filling! I’m all about simplifying things (read: shortcuts!!!) and a pie is a pie here! No fancy tools. No fancy recipe. Just call on your grade-school skills of carving out random shapes and you’re set! I used a kitchen knife to carve out an assortment of abstract shapes out of pie crust. Half moons. Squiggles. Mini squares. Cut out small circles and then remove the center to create an outline. 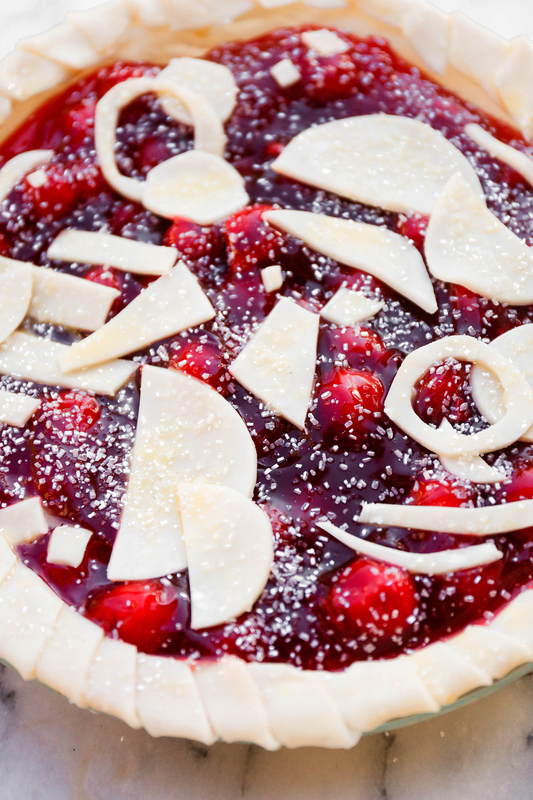 Place the shapes on the pie in any fashion you like. They look great when slightly layered over one another. After you’ve placed the shapes, brush gently with an egg wash and sprinkle with sanding sugar. Because it’s sanding sugar and looks (and tastes!) amazing. Bake according to your recipe instructions and then remove from the oven and admire. I swear. 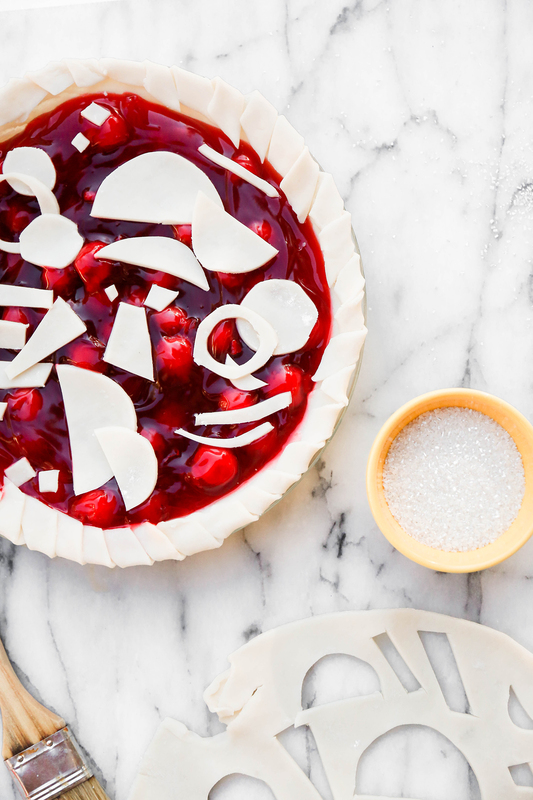 I could just play with pie crust forever. And then eat it while I work. It’s the perfect medium. And there you have it! 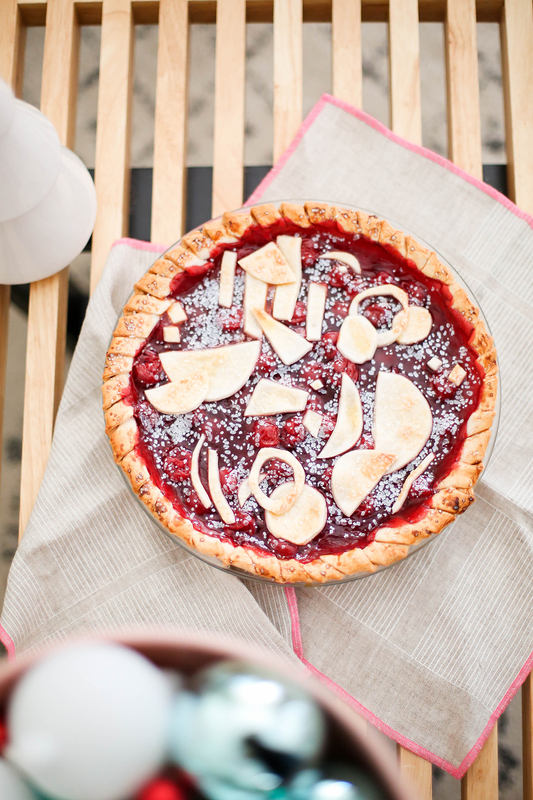 Quite possibly the easiest “homemade” pie that ever was! Your Thanksgiving pals will love it. 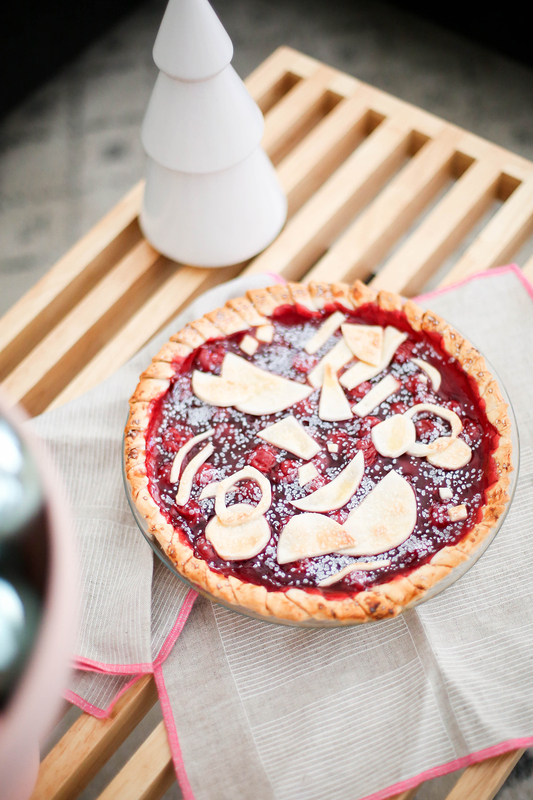 Looking for a few more pie ideas? Pie-deas? 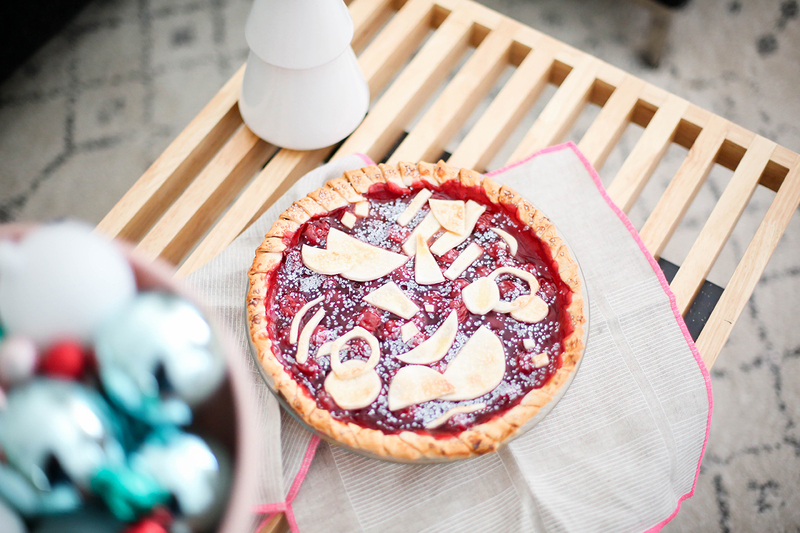 Try our floral wreaths or these simple whimsical pies! 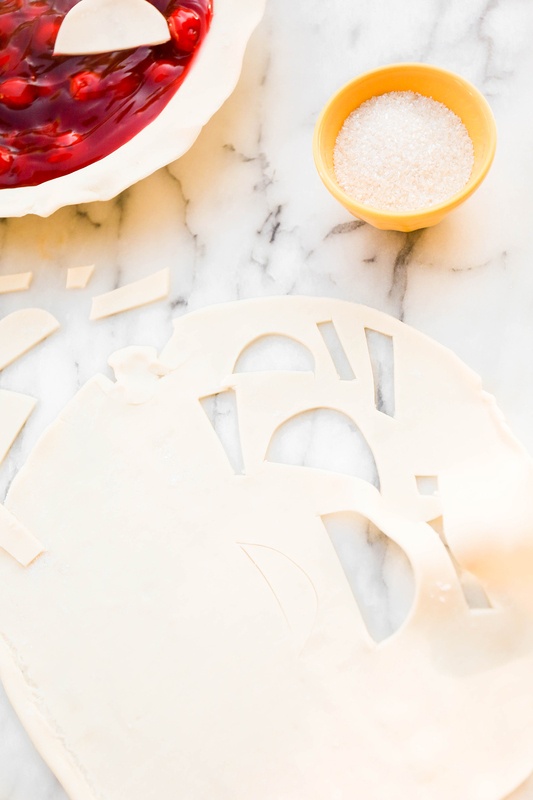 And if you have a little more time on your hands, this fringe pie crust design is one for the books.